What’s in a receipt? Hardly seems like a topic of competitive advantage, operational excellence, customer delight, or innovation. Digital transformation can’t be about re-inventing a receipt?? If you are going to “think like Amazon”, finding inspiration in the details, in the small customer experience details, in finding fractional pennies of savings, by paying attention to digitizing every nanometer of the experience is an understated discipline required to transform. Not many companies will find their way. Let’s compare two recent shopping trips. First, to my local pharmacy. Purchasing a total of 4 items, I get a receipt totaling almost 4 feet in length that includes mostly promotions. As a customer, I can’t easily refer back to my prior purchases, can’t do easy re-orders, and have to throw away the paper. There are no images of the products I purchased and it’s actually a bit hard to know exactly what I purchased. Compare this to my first trip to the Amazon Go store. The sensor vision, “just walk out technology”, and great merchandizing make for a feeling that this is the future of shopping. Including the receipt. Simple, clean with a great image, the receipt is a permanent and easy to access reference point of the experience. 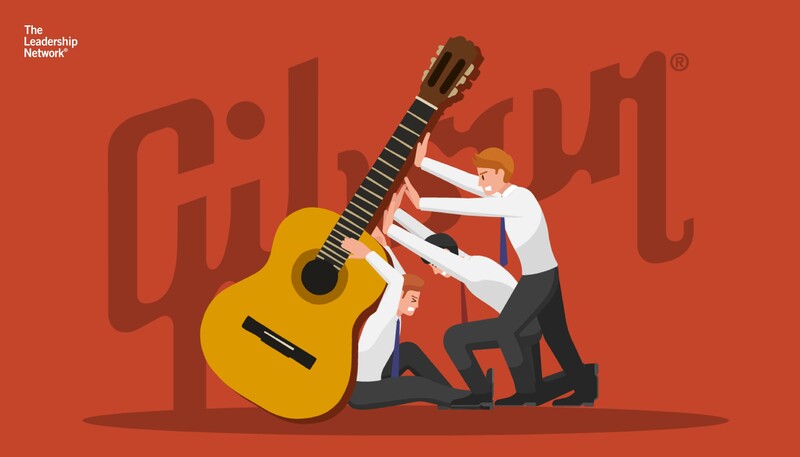 “Know thy customer” is the cry for developing customer intimacy. By enabling a completely digital experience, including the receipt, Amazon has captured and can leverage the data. How can Amazon leverage the data? To begin with, it is associated with a customer, so they understand the customer and customer behavior better. Knowing who the customer is, what they purchased, when they purchased it, they can leverage the data to better plan inventory, make better promotions and recommendations to me and to customers like me. But not only is the data important to Amazon, the data can be of value to the customer. The receipt is easily referred to by the customer and because a high quality product image is included, the customer has a better and more favorable memory of the product. Was that a great selection of sliced meats I purchased? Would I want it again? Remember how much fun that trip was? Let’s do it again! It’s your choice. Continue to be “all hat and no cattle” in saying you want to be digital or start to “think like Amazon” and find inspiration in rethinking and innovating on every aspect of the traditional business. Finding inspiration by questioning every step, every piece of paper, every time lag, every customer question, is tedious, exacting and demanding work. It’s the daily grind of operational excellence used to inspire innovation. Perhaps not the innovation that lands you on the cover of Wired Magazine, but linked together with perfection on every other detail, makes up the big innovation we are all looking for. Just as important, creating the organization habits treasuring the digitization of small steps, will help you create the capacity for ongoing and systematic innovation. That’s how you think like Amazon. 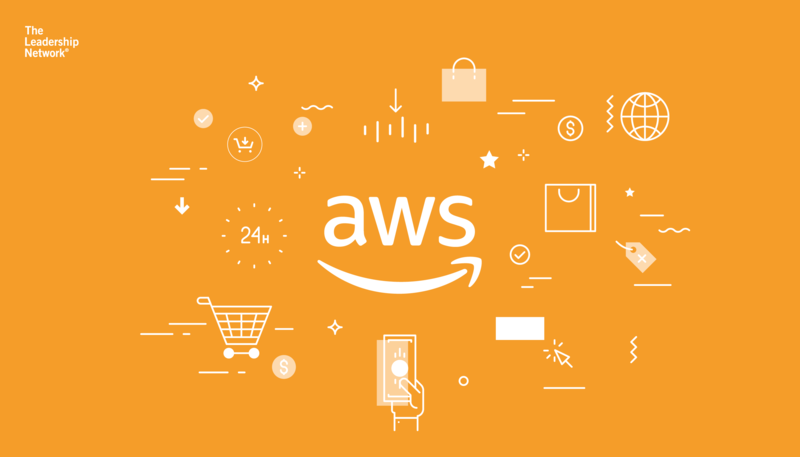 If you’d like to find out more about how to think like Amazon, attend our “Leading the Digital Enterprise” Masterclass, run in association with Amazon Web Services. 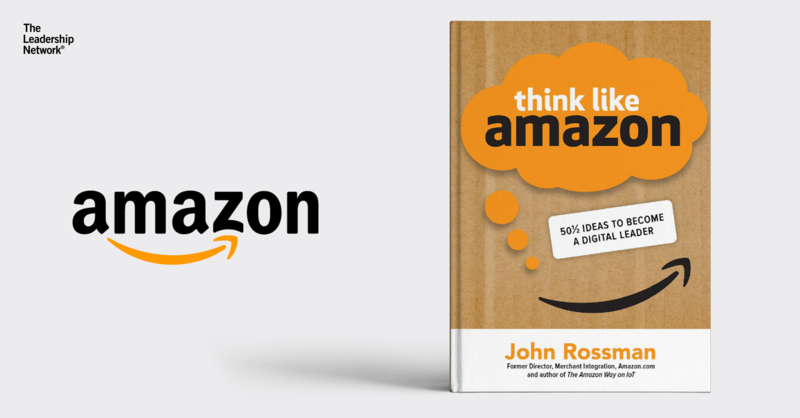 John Rossman is the author of Think Like Amazon series, and the Managing Partner at Rossman Partners, a digital strategy and operations improvement consulting firm. Mr. Rossman is an expert at crafting and implementing innovative and digital business models and capabilities, including Internet of Things. He is a sought-after speaker on creating a culture of operational excellence and innovation. Prior to Rossman Partners, John was an executive at Amazon.com where he launched the marketplace business, and ran the enterprise services business. Mr. Rossman is a board advisor at Terbine, Supply Clinic, Decisiv and Modjoul. Think Like Amazon: 50 ½ Ideas to Become a Digital Leader is published by McGraw Hill and is available for pre-order now at Amazon. Scheduled for release on May 3, 2019.